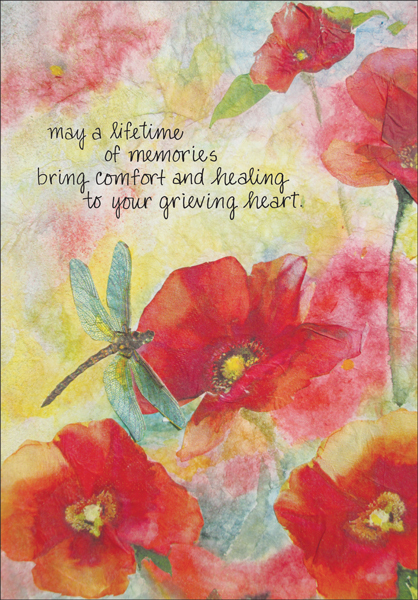 Bereavement Cards, Condolence Cards and More | it takes two, inc.
Poppies and a delicate dragonfly bring artistic appeal to this beautiful greeting card. 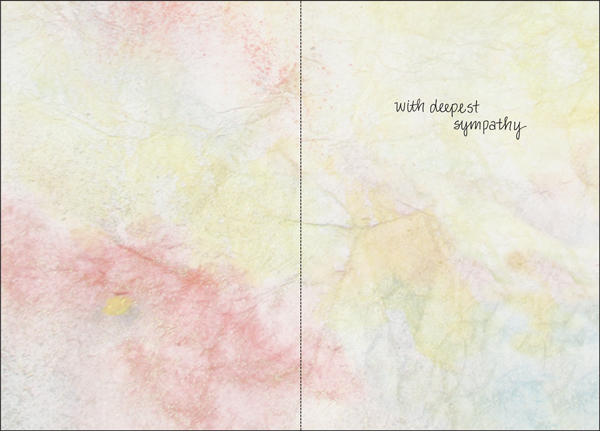 A meaningful verse about a lifetime of memories and a wish for comfort make this a wonderful sympathy card to have on hand. Front: may a lifetime of memories bring comfort and healing to your grieving heart.